He took his finger out of his mouth and eyed a blue-black dot where a blister now was forming. “Dammit!” he repeated. The messenger boy went back to reading The Portland Journal and Inquirer while the operator returned to his chair in front of his key and sounder, muttering something about the batteries, which he disconnected, expressing concern they had been damaged by whatever had “stung” his finger. But he had no sooner done that when his sounder came alive with a Morse-coded message from the operator in Boston, a message received completely without the use of batteries. “Sorry! Gotta get back to L. A.” He smiled as he rolled up the oversized bag and headed back to the Jeep. Warm summer breezes floated through the majestic pines silhouetted against the morning light. They started back to town. His foot pressed the pedal a little harder as he wondered what to say. He reached his arm around her shoulders and pulled her closer. She bit her lip. Being his very personal secretary and sharing beds all these years filled an empty portion of her professional life. Maybe he’s right, she thought. Marriage? We get along so well this way, we should keep it this way. She reached up and kissed his cheek. “Right. Make sure Paul is there, too. Seeya, Della,” Perry grinned as he headed home. “They had to because I won first place in their Galactic White Lightening Competition.” Then Floyd showed Sheriff Tucker the Gold Medal to prove it. I came from the north of Canada, up near Hudson’s Bay, a place of bone-chilling cold and long winter nights. Those who leave almost never come back. Maybe for a short visit, just to confirm what they already knew, but that’s it. That is what living near Hudson’s Bay is like. Yet when I say where I am from people go into ecstasies about it as if I am from a strange and wondrous planet. They ask about Eskimos, igloos, the night sky. Mounties, sled dogs, and most of all the Northern Lights. I tell them what I know which really isn’t much and sometimes isn’t what they want to hear. Not all Mounties are tall and handsome. Eskimos (Inuit) are people like everyone else. Snow is snow and dogs are dogs. But the Northern Lights – ah, that is different. The Northern Lights are not seen; they are experienced. You may wait a year or two or more for them. Then the day comes when they appear, extending unimaginable heights up and up beyond the sky, swaying dizzyingly like gauze in the wind. And in minutes they vanish. A photograph cannot begin to capture them. I lie on my bed in the stifling heat of southern California and watch the ceiling fan whirling around. I remember the awe-inspiring majesty of the Northern Lights. And for a moment I wish I was home. The pale fingers of his slim veiny hand were delicately holding on to the ribbed branch of the, tallest pine tree in the Western Birchwoods Forest , few miles from Reykjavik, Iceland’s capital. The blood ruby encrusted ring on his middle finger gleamed mysteriously, under the full moon . He had nimbly placed his feet on one of the tallest and sturdiest branches. His black trench coat was the perfect camoflage given the trees. His presence was unknown to the surrounding living souls and to those who might be arriving. Stefan twitched his head slightly towards the incoming sound of a rumbling SUV. The bright blue eyes were now inquisitive. He was not alone in this vast picturesque expanse. 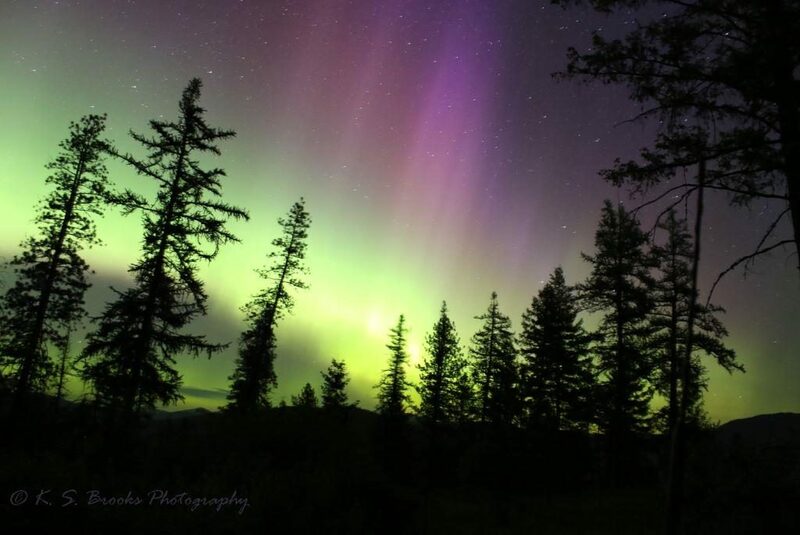 Aurora borealis was on full display.City dwellers head out to the wilderness to enjoy the view on such nights. Inconspicuous of anyones presence Kim and Jon , disembarked and moved towards the fringe of the forest. There were wolf sightings reported but they ignored the warnings. “Northern Lights are great..” , Jon froze. Kim followed Jon’s gaze. From the dark abyss, a pair of yellow eyes emerged. What followed was a monstrosity. Perhaps the biggest wolf they ever saw. As the wolf moved towards them. Something moved swiftly and Jon felt a piercing pain on his neck. The fangs were not of the wolf, Kims neck was snapped like a branch. The wolf devoured what remained as Stefan walked away wiping the fresh blood off his face. “See for yourself.” Grace points when they enter their son’s room. Danny is transfixed on the changing colors that hang in the sky like shimmering curtains. Tom takes Danny’a arm and tries to pull him away from the scene. “What do we do?” Grace asks. Even after Tom closes the shutters, Danny won’t budge. After minutes of attempting the call he gives up. “Must be the Lights interfering with the signal. A figure approaches, wrapped in skins and furs – an Inuit. “Phone’s been down two weeks.” He says. “Ah, show me.” The Inuit says. “Is common thing for strangers.” He explains. “Inuit know not to look at Lights.” He places a hand on Danny’s forehead and utters strange words. Danny jolts into consciousness. “Why did you say that?” he asks the Inuit. The weakening magnetic field is causing greater auroras. Once seen mainly above the Arctic Circle, they now occur often in places like Phoenix and Dallas. Jason is one scientist who believes the changes signal danger, that the disappearing magnetic field harms wildlife, and possibly humans. With his grant money Jason sets up a station deep in the Boundary Waters Wilderness. He installs infrared recorders in various locations. Then he settles in to collect data. With maximum auroras most nights, communication is severely limited. His graduate students man their radio continually, but receive minimal information. Then one night Jason’s voice comes in clear and excited. “Wolves all around. Now I have proof.” The radio goes silent. Nothing more is heard. When the rescue party arrives at Jason’s campsite, everything appears normal. All cameras remain intact. After futilely searching the area, the team packs everything and returns it to the university. There the research fellows view the videos. When they reach the final recording, they stare in astonishment. The solitude of the woods and the wide open sky beckoned to me. The pines were sparse around the clearing, some having seen better days and others lush and full. I’ve never been camping unless you count the weekends my Girl Scout troop would go to a campsite (which was really a large cabin) and we slept in sleeping bags on the floor. But this opportunity to view the northern lights was a bucket-list item. This was an organized group a co-worker belonged to and he said he always enjoyed these little excursions. So why not go? We settled in to watch the sunset, the colors were nothing this city girl had ever seen. The setting sun turned the blue sky the most royal shade of purplish maroon, what little light remained from ol’ Sol acted as a buffer on the horizon. Stars—so many stars!—dotted the purple blanket. The few clouds were more of a bluish-gray and a perfect complement to this evening rainbow. Streams of light broke through the purple veil. The astral show was beginning. We found a fallen log to sit on, craning our necks upward, not even daring to blink lest we miss something. The streams of light were becoming stronger, looking more like searchlights than soft rays from the sky. We furrowed our brows trying to comprehend what we were seeing. The lights were blinding as the space craft descended into our clearing. Deep into the coal black forest of night I tread with only the ghostly burning light of the Bifrost to guide me. I hadn’t yet found Yggdrasil, the Tree of Life, said to grow deep in these woods. If only I could get a twig or piece of bark, the medicine I could make from it would cure my poor Siggi. The Northern lights can be a gift lighting one’s path home after a long day. They can also be mischief as well, appearing here and there, confusing a poor traveler and dooming him to an eternity of wandering. These same woods are said to hold the great warrior Björn the Tall who simply disappeared after a troll hunt near the Hundenstand waterfall. It could’ve been the troll that got him, but I think it was troublesome lights. They may come out tonight. I hope not. I need to find that tree. If not, then to stumble into a farmstead and be warmed with ale or mead would be good until trying again in the morning. Suddenly, I broke through to a clearing that could’ve been huge or could’ve been only a simple path. The ground here was dry and crackled under foot. I also felt something all around me. It made me afraid like never before. I stopped to take a breath and regain my wits in the eerie silence. Previous Previous post: What Word Count Is Best for Genre Fiction?